Available to faculty and academic staff. Requires login separate from your Macalester login. Faculty and staff: Contact your Library Rep or the Library for access. 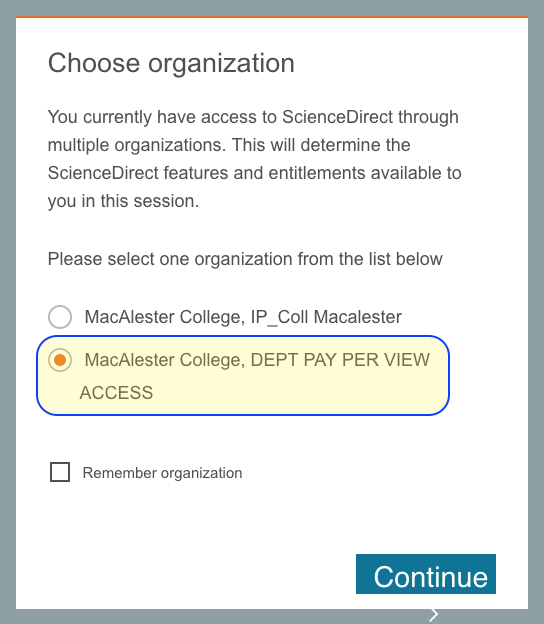 Macalester Library is facilitating access via a pay-per-view (PPV) model allowing instant desktop delivery of articles and book chapters in ScienceDirect. Purchased articles/book chapters can be downloaded and stored locally for future use. Each full-text document downloaded deducts $30 from the library budget. We encourage you to use ScienceDirect PPV when Interlibrary Loan is not a reasonable option. Each purchased item deducts $30 from the library budget. Interlibrary Loan , with a typical turn-around time of 24-48 hours, is still the preferred option and may be the best option for students when time permits. Students can also be referred to the Library Service Desk (in person, phone or email) and we can use the Library ScienceDirect account as is appropriate. Please do not share your departmental password with students or anyone outside of your department. Search for content on ScienceDirect. Choose “Get Access” under the desired article. Put in your departments PPV username and password. You now show logged in as your department. Now the PDF can be downloaded and the transaction will be charged to the library. You will see the title of your article. Click the Continue button for the full article. IMPORTANT: Once you click Continue, you have purchased the article. 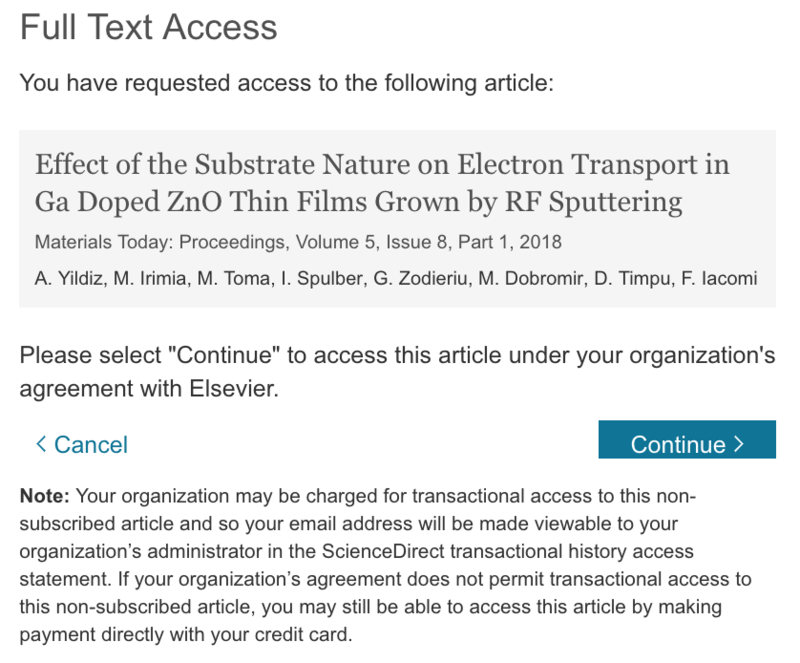 Unlike the individual accounts people set-up on ScienceDirect, institutional accounts do not have the shopping basket feature. Your department is sharing one account; please do not edit the contact information or the password for your account. If there is a reason why you think that your department’s password should be changed, please contact Trisha Burr in the Library. Need or Forget Your Departmental Password? 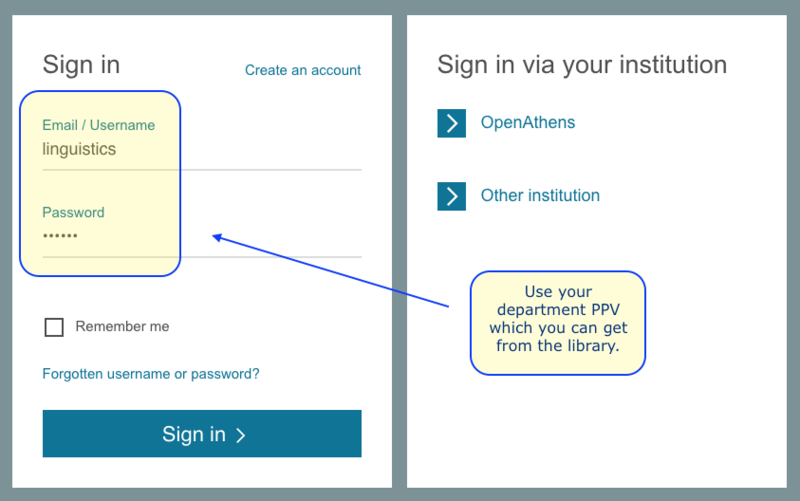 If you forget your department’s password, please contact your Library Rep or the Library via our Ask Us service.